Attention: The following information should be used as a general guideline. Requirements for each country can change frequently so make sure to contact the proper authorities before you travel to Singapore with a pet. Singapore is known for its extremely strict import regulations. The same applies to those who would like to move their pets into the state. Everything should be done to the T and documented. Moving pets to Singapore will require organization and patience. The easiest way to make sure that you do not miss a step or forget something along the way is to lay out everything that needs to be done. For those who will be residing in HDB housing, which is private housing, only certain breeds are allowed. Make sure to contact ownership and find this out. The first thing you will need to do is determine if your pet can travel with you to Singapore. Some breeds require special measures and some aren’t allowed in at all. 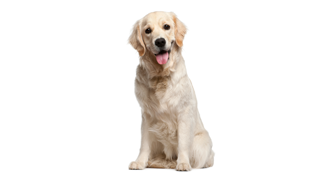 Prove and get endorsement that your pet has resided in your country for at least 6 months. This requires statements from the local vet and approval from the USDA. Have your pet implanted with a microchip. ISO 11784, 11785 or AVID 9-digit chip. Make sure you dog or cat meets the requirements for rabies control in Singapore and other requirements for additional vaccinations. Treatment for internal and external parasites. Done 2 to 7 days before your pet leaves. Make sure that this veterinary certificate includes information of your veterinarian and the endorsement from the government authority. The next step is to apply for your pets import permit into Singapore once you have received the serology blood test which occurs after the first rabies vaccination. The government agency in Singapore that you will be dealing with is the AVA, or Agri-Food & Veterinary Authority. You must obtain one of these licenses within a month of your pet’s scheduled arrival. There is a fee associated with the license of $40 and you will need to obtain a new on upon clearing customs with your pet. Import applications need to be accompanied by a request for quarantine space. Once you arrive in Singapore with your dog or cat it will then be examined by a veterinary officer. You can get more information on the quarantine station for pets in Singapore at www.ava.gov.sg.